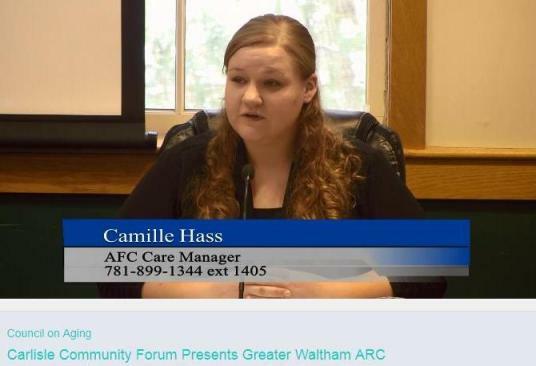 View the Carlisle Community Forum discussion with Camille Haas, AFC Program Manager, taped on January 19, 2018. View the Public Service Announcement for GWArc's Adult Family Care (AFC) Program, taped recently at WCAC-TV, The Waltham Channel. Roz Rubin, GWArc CEO, Barbara Dunker, GWArc AFC Program Director, and Camille Haas, GWArc AFC Care Manager, discuss details of this beneficial program. Click here for more details about the AFC Program.